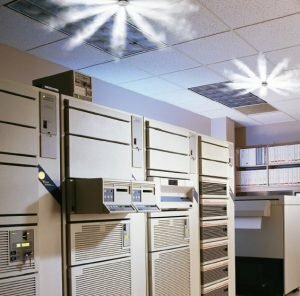 Clean, non-conductive INERGEN is a natural fire suppression agent particularly suited to areas where damage from conventional agents cannot be tolerated. 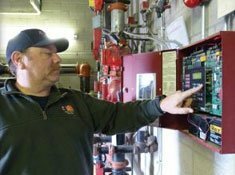 In minutes, fire and the attempts to put it out can destroy the equipment that keeps your operation in action and yet, without the right defenses in place – those that protect people, property and the environment – many businesses are putting themselves at needless risk every day. Others, however, have an INERGEN® system at the ready. Created as an ozone-safe replacement for Halon 1301, INERGEN is the nucleus of ANSUL’s contemporary approach to fire protection: protect lives, protect property and protect the environment. Upon discharge, INERGEN instantly floods the room, remaining suspended to suppress fires quickly and effectively. 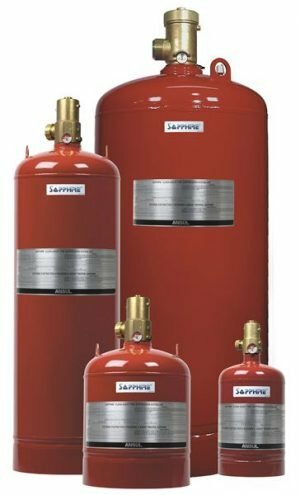 An inert gas mixture, INERGEN is absolutely free of residues and corrosive by-products that may produce further property damage. 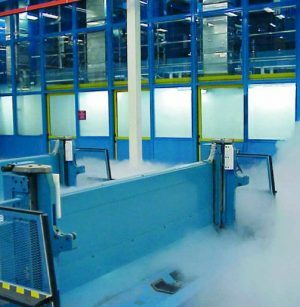 In performance testing, INERGEN easily exceeded the NFPA Standard 2001 allowance of one-minute discharge, with documented extinguishments of 22 seconds for a Class A fire and 17 seconds for a Class B fire. 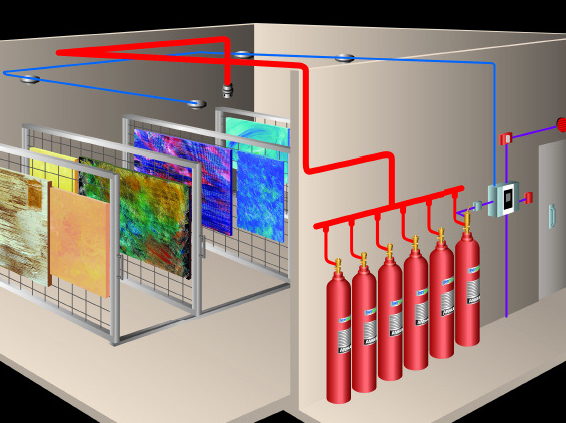 Reliable and field proven, INERGEN delivers the performance you would expect from the world leader in fire suppression. The production of Halon 1301 was banned in 1993, a direct result of its negative effects on the ozone layer. We engineered INERGEN to be environmentally kind from the very start. INERGEN is non-synthetic, made exclusively of gases we already breathe: nitrogen, argon, and carbon dioxide. Once discharged, it simply returns to the atmosphere in its natural state and because it poses no ozone depletion or global warming potential, INERGEN will never be subject to future legislative bans. 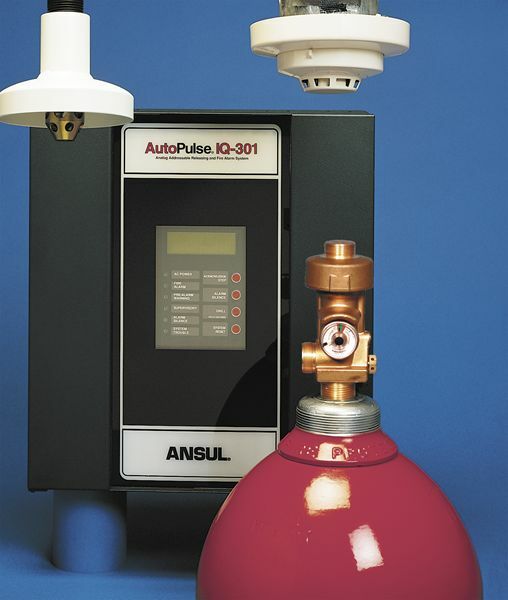 From INERGEN automatic detection and suppression systems to a full range of wheeled and portable extinguishers and more, no other fire suppression brand promises the full range of solutions or the quality of ANSUL and we back all of our products with a worldwide network of factory-trained distributors – the largest and best qualified in the industry.